Entry into Whiteman Park is free and there is plenty of free parking available. We are open 9.00am to 5.30pm every day of the year except Christmas day. Last entry into the park is at 4.30pm; however to make the most of your visit and enjoy all of our attractions, we recommend you allow at least 3 hours in the park. We have a variety of attractions every day that you don't want to miss! 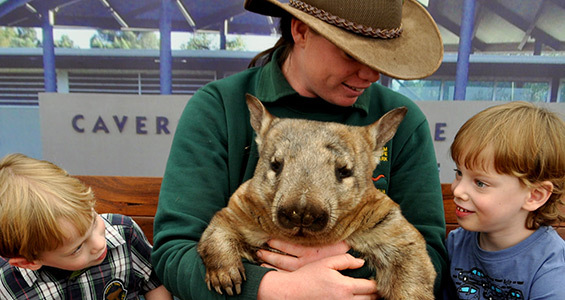 Click here to learn about Meet The Wombat & Friends, Koala photos, Kangaroo feeding, Farm Show and more! We are commited to wildlife! Click here to learn about our ambassador animals, fundraisers, breeding programs, and more!